Too many of our young people are choosing to take their own lives!! Join us in the Circle. Help in any way you can. They think we don’t care. We do care! We want to reach out, hug them, walk with them, and teach them—empower them. YANAN seeks to mentor the youth through the arts, focusing on the overall issue of “healthy lifestyles”, which will result in lower suicide rates. In this way, the young people can “give voice” to the issues they are facing, including poverty, poor nutrition and growing obesity, high rates of alcohol and drug abuse, and suicide. While they will be able to express that place of “darkness,” they will also find hope again in living life fully, in a good way. Native American peoples, like all Indigenous peoples, believe that we are all related. To sustain life, we must respect all life. This is a part of our traditional lessons, which teach us to care for our families, our communities and all around us. We are all part of the cycles and circle of Mother Earth. Change begins with the children. YANAN is developing a 3-5 year program to work with youth mentors/peer counselors in the schools. It will begin with a performance workshops will be conducted by Michael Bucher, NAMMY award winning singer/songwriter. Participants will be involved in song writing, followed by a community performance with Michael, participants, and one or two performers from the community. Over the three to five years, other workshops will be given in video and video editing, with the mentors. They will interview elders in their community/tribe drawing on traditional cultural lessons, and have to consider how those can be applied in their contemporary society today. Original interviews will be stored in Tribal archives. Central to this project will be provision of video equipment such as camcorders, microphones, connectors and tri-pods. Computers and editing software programs will be needed to conduct on-line Skype distance learning sessions with Patrick Doyle, YANAN web master. Additional arts workshops will feature, storytelling, visual arts, graphic arts, as well as poetry and prose. 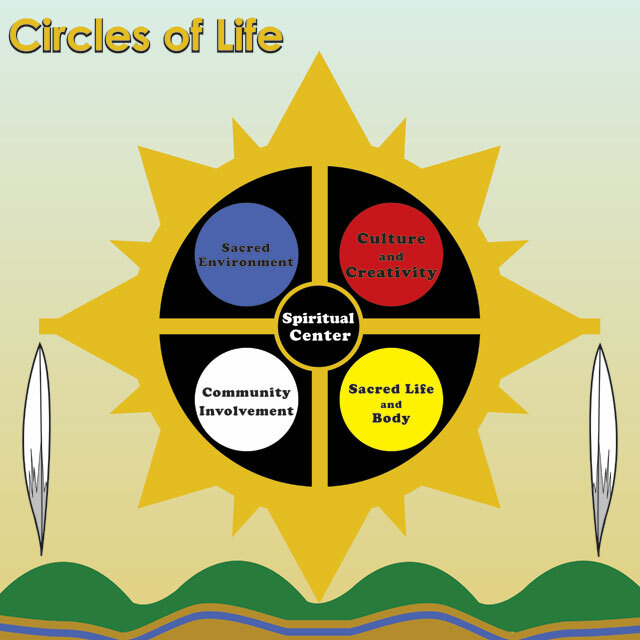 ** This project will serve as a model program to implement on other reservations with high rates of suicide.